Larson, R., Sasanuma, K. (2010). Urban Vehicle Congestion Pricing: A Review. Journal of Industrial and Systems Engineering, 3(4), 227-242. Richard C. Larson; Katsunobu Sasanuma. "Urban Vehicle Congestion Pricing: A Review". 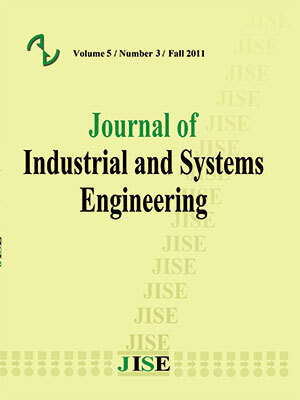 Journal of Industrial and Systems Engineering, 3, 4, 2010, 227-242. Larson, R., Sasanuma, K. (2010). 'Urban Vehicle Congestion Pricing: A Review', Journal of Industrial and Systems Engineering, 3(4), pp. 227-242. Larson, R., Sasanuma, K. Urban Vehicle Congestion Pricing: A Review. Journal of Industrial and Systems Engineering, 2010; 3(4): 227-242. Drivers in urban neighborhoods who cruise streets, seeking inexpensive on-street parking create a significant fraction of measured traffic congestion. The solution to this problem is to reduce the total traffic volume including cruising traffic by implementing a congestion pricing scheme: the imposition of a usage fee on a limited-capacity resource during times of high demand. We review the history of two alternatives for implementing congestion pricing scheme: road pricing (RP), which involves cordoning off a section of the center city and imposing a fee on all vehicles that enter it; and parking pricing (PP), which increases the costs of on-street and perhaps off-street parking. PP is needed in many environments where a significant fraction of drivers are simply cruising, looking for inexpensive on-street parking. In this paper, we propose a simple method to estimate the number of cruising drivers and the optimal parking price. Our survey in Boston shows that the number of cruising vehicles reaches 10-20% of the total number of parking spaces during peak hours and the required congestion charge (CC) for onstreet parking is at least about $1/ hour. Reform; Brookings Institution Press, Washington, D.C.
Industrial and Systems Engineering; to appear. International Perspective; Elsevier, New York.